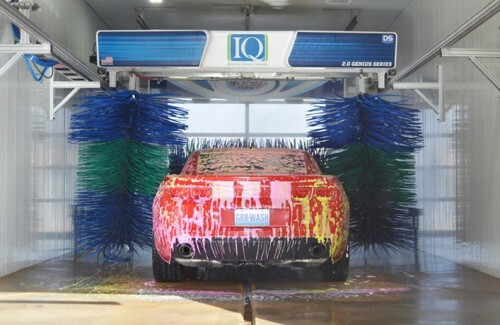 When it comes to satisfying the expectations of today’s car wash customers, the IQ 2.0 Soft Touch delivers. Ingenious technology, remarkable wash quality and even greater efficiency make this D&S wash Smarter, Cleaner and Greener. A high-tech 3-D scan profile of every vehicle is captured along with “mapping” details like the luggage rack and spoilers. The IQ 2.0 washes best because it knows the unique size and shape of every vehicle being washed in the bay. With the FAST IQ 2.0, you will really appreciate the wash times and the ability to thoroughly clean more vehicles than ever before. Wash speed and menu programming is also fast and easily managed from your laptop, iPad or smart phone. The tech savvy IQ 2.0 is web enabled so you can get basic information like daily wash counts, service issues and faults. Program updates and troubleshooting is easily performed over the web. D&S leads the way with the latest proprietary software and more powerful microprocessor to keep you connected at all times. Full color touch screen included! The IQ 2.0 provides a highly efficient and safe custom wash for everything from Mini Coopers to dually and full-sized pickup trucks. We’re soft, but not understated. 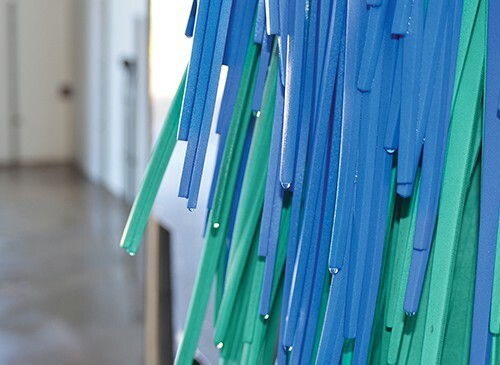 Thanks to soft closed cell foam brushes, the IQ 2.0 quietly and gently cleans the vehicle. Longer brushes reach those hard to clean areas at the rear of the vehicle. 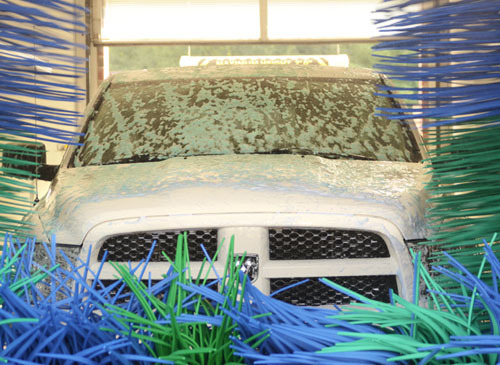 The Pre-Soak and Tri Color lather covers every vehicle in a bath of foam cleaner. The IQ 2.0 is packed with features and options to put on a show for the kids, clean the family vehicle like never before, and increase your profits. The fit and nimble IQ 2.0 delivers on performance while consuming less power, water and chemicals. In fact it boasts one of the lowest costs of operation available. Earn more washing the same amount of cars and achieve a healthier bottom line with the IQ 2.0. Rising energy prices created a need for energy-efficient motor control. The IQ 2.0 electric drive provides the solution to control costs. Low amp electric driven motors with VFD control manage input power based on system demand and use only the energy required by the driven equipment. Eliminate environmental concerns now and in the future with the eco-friendly design of the IQ 2.0. It’s energy efficient, and its decreased wastewater effluent reduces pollution. Connect to any reclaim system for recycle and gray water reclamation and go green. Check out Why Choose an IQ 2.0 for a continuing list of reasons why the IQ Soft Touch 2.0 Car Wash Systems is The Smarter Choice® for a successful car wash business! Contact us today to discuss your new or retrofitted in-bay automatic car wash needs with one of our experienced D&S car wash professionals. We’re here to help! 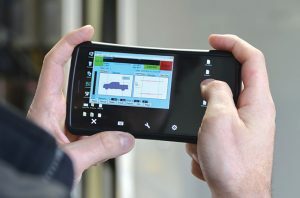 REMOTE SYSTEM MANAGEMENT You can manage your IQ Car Wash System equipment and wash operation in real time from anywhere in the world using your smart phone, tablet, or laptop. Programming of wash recipes is simple and stored in the system's memory, allowing you to easily retrieve recipes to adjust for seasonal washing conditions. SYSTEM SELF-MONITORING The IQ self-monitors all aspects of your car wash. 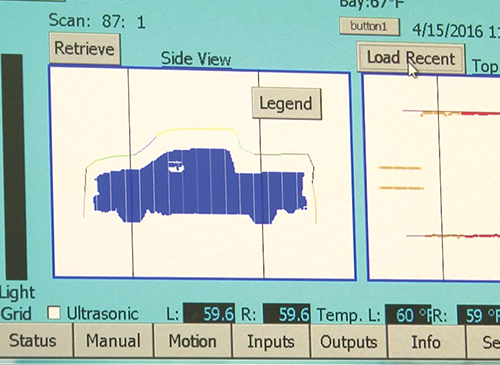 Monitoring of diagnostic codes helps identify small problems before they become big ones. Your distributor can also retrieve diagnostic codes and maintenance data, so problems can be identified and solved without costly distributor trip charges. INVISIBLE TREADLE Cars virtually line up in the bay due to the IQ 2.0 vehicle positioning system. Getting in position is easier, and with no guide rails or hardware on the floor, the bay has a clean “open” look. Together with in-bay signage and IQ Voice Announcer™, the Invisible Treadle works to enhance the total customer experience. AUTO CASHIERS The IQ is designed to operate as an unattended automatic car wash and is compatible with most auto cashier systems. No matter which pay station you choose, it will simply connect to our unit and interact with your customers to assist with transactions and marketing your car wash.
Bay Height (minimum) 9' 8"
Bay Width (minimum) 14' 6"